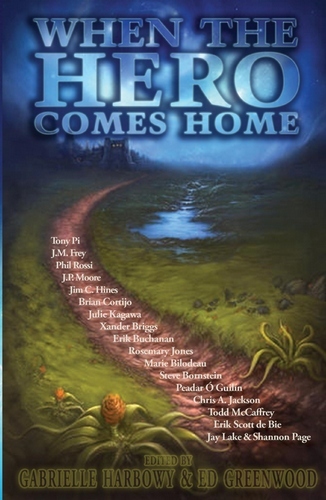 Heroes come in a thousand guises, and so do stories about them. The only survivor of a war struggles to return to a home that doesn't exist anymore. A rebel leader loses everything she fought for and must start from scratch. A hero who has fought for her village her whole life must retire into obscurity without ever being known for her deeds. A starship returns to an Earth that is much changed, yet too much the same. A soldier is haunted by the very thing that saved his life. And King Arthur returns in Albion's hour of need. Dark fantasy. Urban fantasy. Political intrigue. Science fiction. From the horrific to the heartwearming. Introducing 19 pulse-pounding tales, by luminaries and great new voices. Co-edited by Gabrielle Harbowy and Ed Greenwood. Featuring an introduction by Susan J. Morris.